From September 2014, the way in which schools assessed children’s progress and attainment changed. The New Curriculum requires that schools no longer use the ‘Level’ system. The National Curriculum has changed and with it the way all schools track attainment and progress. Previously, if you have had a child in school, teachers will have given you a level (e.g. 2b, 3a, etc.) to represent your child’s attainment. Because of the way the old curriculum worked, the numbers did not indicate the year group a child was in. The new National Curriculum has been written to give Age Related Expectations (ARE) for the end of each year. As children travel from Year 3 to Year 6 at NHLC, they will be tracked against the Age Related Expectations. Because all children are individual and develop at different rates and have differing needs, they will work in the appropriate milestone but may be at different stages within the milestone. Crucially children that are exceeding expectations do not move on to the next milestone but work in greater depth in these curriculum areas to develop ‘mastery’ in the subject. It is part of the new revised National Curriculum. The Government wants a simpler system for parents to understand and for each school to develop their own system. The new system enables teachers, pupils and parents to concentrate on learning to make progress, rather than just focusing on levels. Will children still have SATs in Year 6? Yes, although the format of these tests has changed. The SATs from 2016 followed a new format and are reported on using a standardised scale score. The score that children need to achieve to demonstrate the expected level is 100. There is so much families and careers can help with. Reading is very important along with time tables, spellings and practising number bonds. Children’s independent work is the biggest indicator of what they can do and how they do it. Teachers use this on a daily basis to know and check pupil understanding and progress. Special pieces of work to inform assessment are set up throughout the year. This is done alongside Reading and Spelling age tests, as well as other in-class assessments. We work across the Primary and Secondary phases of the school and with other local schools to agree and ’moderate’ attainment levels. All schools also have external moderation from the Local Authority. Throughout all lessons teachers continuously monitor and assess learning, ensuring that any misconceptions pupils have in learning are quickly addressed, so that they can continue to make progress within that session. 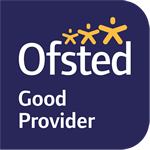 We believe that the best feedback is that which is provided during the lesson, often verbally, to help the child there and then although written feedback is provided on a regular basis.